Several black-clad attackers are said to have entered the remote Rattanaupap Temple. Two monks were killed and two others were injured. 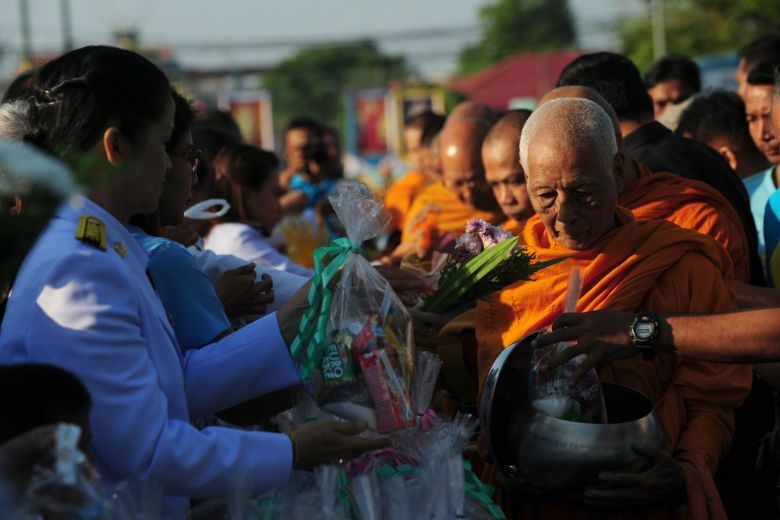 In Thailand, armed assailants shot two Buddhist monks in a temple. Two other monks were injured in Friday’s attack in the south of the country, local police chief Pakdi Preechachon said. The attack took place at 19.30 (local time, 13.30 CET) in Narathiwat province. Several black-clad attackers had invaded the remote Rattanaupap Temple and shot at the monks. The head of Thailand’s military government, Prayut Chan-O-Cha, condemned the attack. He had instructed the authorities to find the perpetrators and bring to justice, said a government spokesman. Southern Malaysia, bordering on Malaysia, has for years been the scene of a bloody rebellion of Muslim rebels, which has killed 7,000 people since 2004. The Muslim region has only been under the control of the Buddhist kingdom of Thailand for about a hundred years. Critics consider Thailand’s rule there as a crew and defend against it. According to Human Rights Watch, at least 23 Buddhist monks have been killed since the beginning of the uprising. It was not until the beginning of January that the rebel group BRN had publicly announced that they would continue their fight.